Today aesthetic surgery principles meet their pioneering start in the Great War period. This is one of the possible conclusions we could get after analysing some aspects of the medical sciences in the years of World War One. Beside of this, we all know that wars are always a crucial passage towards the development of sciences, technology or logistics. Think about the "container", the basic unit of today freight transport. It was during the Vietnam war that the standardization introduced by this metal parallelepiped became evident to the entire world. Going back to the First World War and to the great boost it gave to the development of medicine, we like to remind that in February of 1916 the Italian kingdom decided to set in the north-eastern region of Friuli, and precisely in the village of San Giorgio di Nogaro (just behind the lines of the Isonzo front), one of the most important medical schools of the time. The history of this school is an important part of the exhibition that the friends of Museo della Grande Guerra 15.18 of Maserada sul Piave designed in a layout fully concentrated on the development of surgery and medical sciences during the Great War. The exhibition was designed to tell the story from the points of view of the soldiers and their physical sufferance and it tries to keep the distance from all the bombasts that often followed the Great War (we think about the huge ruinous scars in the body and souls of men and the way it was "managed" from a political point of view; we also published an interesting interview with professor Barbara Bracco about the postwar period and the Italian case). All the actors of the peculiar "health service" find their place in the layout of this exhibition: the previously remembered "Ospedale Castrense", doctors, nurses, the Red Cross and the University of Padua. There's no hurry. If you're travelling in the Venice or Piave areas, you have time until next February 2014 to plan a visit (just follow the links below). 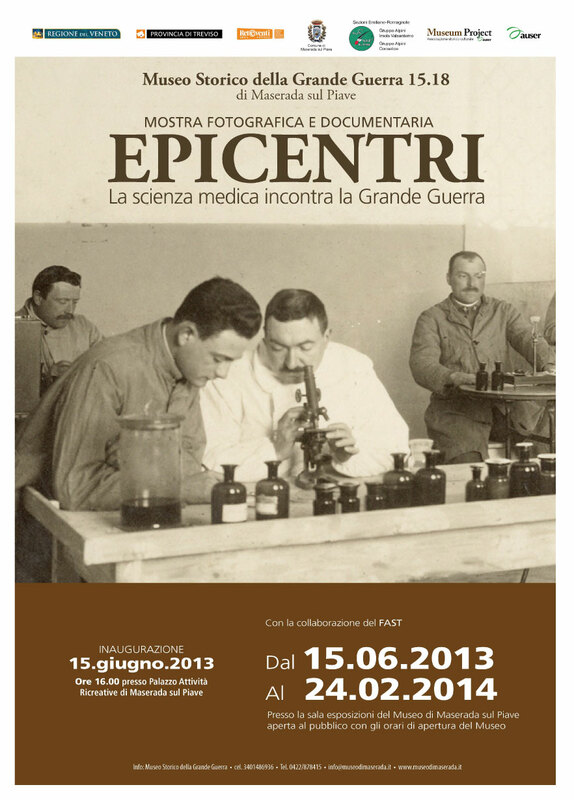 The exhibition opens today with a conference. Further information below.